Department of Civil Engineering, IIT Bombay, Powai, Mumbai – 400076, India. This year’s annual conference of Indian Geotechnical Society (IGS), namely, Indian Geotechnical Conference (IGC – 2010), GEOtrendz was held at Indian Institute of Technology (IIT) Bombay, Mumbai, India from December 16th to 18th, 2010. It was organized jointly by the Indian Geotechnical Society (IGS) Mumbai Chapter and the Indian Institute of Technology (IIT) Bombay, Mumbai, India. Since starting of IGC, it was the Golden Anniversary of the Indian Geotechnical Conference at Mumbai. In every 10 years interval, viz. 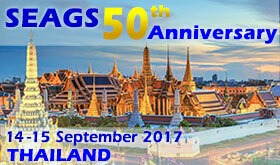 1970, 1980, 1990, 2000 and now in 2010, Mumbai got the opportunity to host this mega annual conference of IGS. During the inaugural program of IGC-2010, the patron of the conference and Director of IIT Bombay, Prof. D. V. Khakhar spoke about the need of geotechnical engineering research for infrastructural growth in India. Chief guest of the inaugural program was Padmavibhushan Dr. Anil Kakodkar, who spoke about the urgency of research and applications in geotechnical engineering by considering the soil-structure interactions. During IGC-2010, change of command from Shri M. Bidasaria to Prof. K. S. Rao as new president of Indian Geotechnical Society (IGS) took place with newly elected executive committee of IGS. The 32nd Annual Lecture of IGS was delivered by Dr. V. M. Sharma during IGC-2010. Total 38 exhibitors and 27 sponsors participated in IGC-2010. Total about 475 delegates attended IGC-2010. In IGC-2010, a total 278 contributory papers were published in two volumes of the conference proceedings (Volumes I and II) out of above 400 accepted abstracts after rigorous review process. A total 18 Keynote, Special and Theme papers were published in Volume III of the conference proceedings. All these invited lectures covered the wide spectrum of Geotechnical Engineering covering all the themes of the conference. The invited speakers during the plenary sessions of IGC-2010 were Prof. Buddhima Indraratna from Australia, Prof. Shamsher Prakash from USA, Prof. S. Gopal Madabhushi from UK, Prof. R. C. Joshi from Canada, Shri Mahavir Bidasaria from India, Prof. M. R. Madhav from India, Prof. Anand J. Puppala from USA, Dr. Michael Lisyuk from Russia, Prof. Martin Achmus from Germany, Prof. Robert Y. Liang from USA, Dr. V. R. Raju from Singapore, Prof. B. R. Srinivasa Murthy from India, Prof. Tarek Abdoun from USA, Prof. Liming Zhang from Hong Kong, Dr. D. N. Naresh from India, Shri M. Kumar from India, Prof. G. L. Sivakumar Babu from India. Out of 278 published technical contributory papers, a total 210 papers were presented orally during various parallel sessions of IGC-2010. A special session for Young Geotechnical Engineers was organized and participated by various research scholars, upcoming practicing engineers in geotechnical profession.